I’ve released a new preloadable wrapper named resolv_wrapper which can be used for nameserver redirection or DNS response faking. It can be used in testing environment to route DNS queries to a real nameserver separate from resolv.conf or fake one with simple config file. We tested it on Linux, FreeBSD and Solaris. It should work on other UNIX flavors too. 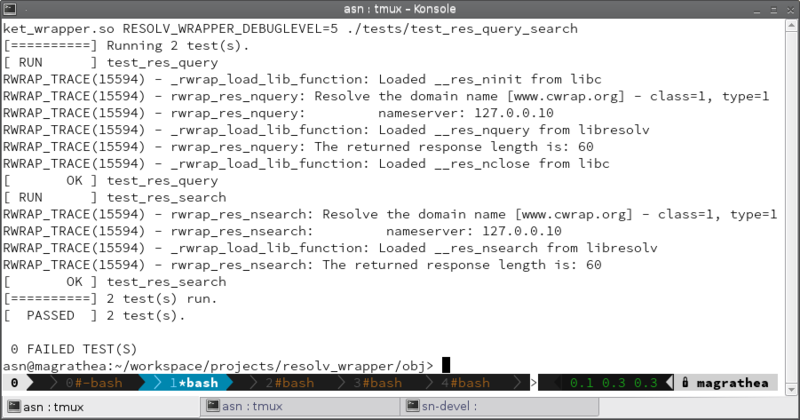 You can download resolv_wrapper here.